Are You Considering Surrogacy or Looking to Add to Your Family via Surrogate? Regardless of your ability to have a child by natural means, the decision to use gestational carriers, or gestational surrogates, may be the right choice for your family. Nevada has some of the most progressive laws concerning surrogacy in the United States. “Intended parent or parents,” or the party wishing to conceive a child through Assisted Reproduction Technology (ART), can be an individual, married couple, unmarried couple or domestic partnership, according to Nevada surrogacy law. Nevada surrogacy lawyer Eric A. Stovall represents potential parents who are considering surrogacy for their family. He knows that you have a lot of questions. These include surrogacy cost, contracts and definitions as well as surrogacy pros and cons. Attorney Stovall began his surrogacy and adoption practice in 1995. Since that time, he continues to take pride protecting the best interests of Nevada families involved in these matters. What Types of Surrogacy Should We Consider? While there are different surrogacy types, Nevada only permits gestational surrogacy. Nevada surrogacy law does not support traditional surrogacy. What is the difference? In gestational surrogacy, the surrogate will not have any biological ties to the conceived child. This is because both the embryo and sperm implanted into the carrier are from the intended parents or parent and donor via In Vitro Fertilization (IVF). On the other hand, in traditional surrogacy the surrogate acts as both the egg donor and gestational carrier. The latter is not permitted under Nevada law. In surrogacy, parental rights are very important. If you continue with the surrogacy process, you want to make sure you that you have both physical and legal custody of the child(ren). The gestational carrier does not have those same rights. Therefore, in order to protect your family, you must obtain a pre-birth order. This should be part of the surrogacy contract. Additionally, as the intended parents, you want to establish particular requirements for your surrogate. These may include the type of lifestyle the surrogate can have, as well as genetic testing of the fetus. Furthermore, you will want to spell out any costs that you will outlay, including any possible compensation for your surrogate. Your attorney will help you through a lot of “what ifs” to make sure you have contingency plans should you need them. In order to make the process run smoothly and with as little stress as possible, you want everything in place before you move forward with IVF. Inevitably, more issues will come up as the pregnancy progresses. However, our lawyer is with you every step of the way to work through each issue. At the end of the day, he wants you to meet your new baby with the same joy that he had when he met his own children. 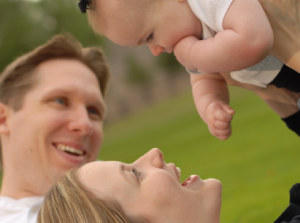 Our surrogacy law firm works to uphold the intended parents’ expectations. We want your surrogacy process to go smoothly and we cannot wait to meet your baby. Attorney Stovall can answer any questions you have about surrogacy or adoption in Nevada. With two convenient locations in Reno and Las Vegas, he can offer knowledgeable legal counsel to those located throughout the Silver State. Call Nevada surrogacy attorney Eric A. Stovall today to set up your consultation. Nevada law requires both parties to a surrogacy contract be represented by separate and independent attorneys.